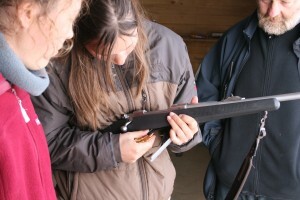 New visitors need a safety training before they can go into the field. 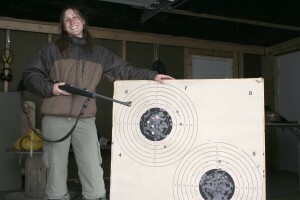 This inbvolves lectures about bear behaviour, weapon safety and shooting practice. I join the course fro two Flemish botanists, so I can check my own skills. Wojtek is our teacher. 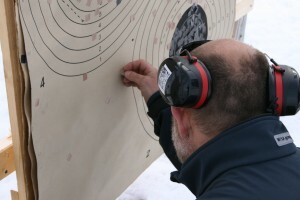 The course tries to create a confidence that you can handle the gun safe and effective. Everyone is able to hit the target after a bit of excercise. We talk a lot about awareness and making the right decision. It is important to minimize the risk that a polar bear has to be shot. 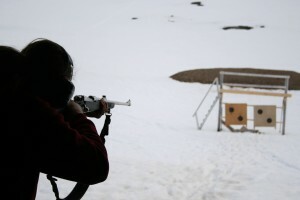 After all these years I am more afraid for the gun than for the risk of meeting a polar bear in the field. This page has been given the following keywords: [safety] You can click on each keyword to get an overview about related pages.